Illinois Gov. J.B. Pritzker put an Emergency Preparedness Plan in place Monday ahead of record-breaking cold set to hit much of the state this week. "This is a potentially historic winter storm that will bring extreme cold to our state and all Illinoisans must prepare," Pritzker said in a statement. "Our administration putting into place an Emergency Preparedness Plan with key state agencies as well as warning residents about these life-threatening conditions. We will continue working with local officials to make sure they get the help they need to keep their communities safe." Pritzker's plan will be carried out by the State Emergency Operation Center and local emerngecy management officials, his office said. 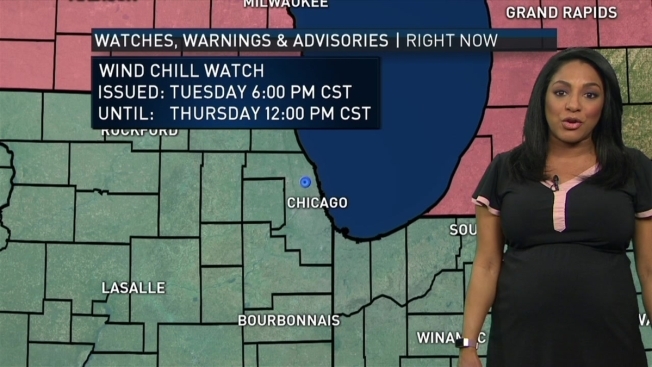 A Wind Chill Warning has been issued for the entire Chicago area beginning Tuesday evening. The warning, which will take effect at 6 p.m. Tuesday and continue through noon Thursday, predicts dangerously cold wind chills as low as -55 degrees expected. A Wind Chill Advisory will also be in place from 4 a.m. to 6 p.m. Tuesday, with wind chills between 20 and 30 below zero. 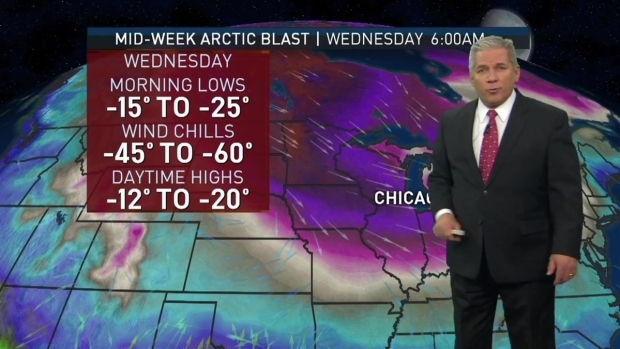 The forecast high temperature for Wednesday in Chicago is -15 degrees. If that forecast holds true, it will mark the coldest high temperature the city has seen since Jan. 20, 1994, when the high temperature was -11 degrees. Frostbite can occur quickly in these conditions, the alert warns, and even hypothermia or death is possible if precautions aren't taken, NWS said.